Then a single security camera that works independently is the way to go. Part 1. Is a single security camera enough to cover the monitoring area? Part 2. Could the single CCTV camera save recordings for more than a day? Have more confusions in mind, like the single camera bandwidth cost and storage space consumption? Check the FAQ box, or simply leave a comment down below. Now let’s just get straight to the point! A single security camera definitely saves your budget, but it’s important to make sure it could well cover the whole monitoring area, which is, in this case, the 25ft long driveway. A single outdoor security camera usually has wide viewing angle to cover larger areas, with a FOV of about 100° horizontally and 50° vertically, and is ideal for the front door, driveway or other open space monitoring. And the weatherproof all-in-one single outdoor camera Reolink Argus 2 is the class-leading model of this type, with 130° wide diagonal angle of view. While a single room security camera typically has a narrow viewing angle to target specific areas with more details. For example, the pan and tilt Reolink C1 Pro, with a FOV of 80° horizontally and 40° vertically, is best for the hallways, doorways, or cash registers monitoring. So it’s important to check the FOV of single security camera in the specification to make sure it can capture what you need. To shop the best indoor and outdoor single security camera easily and quickly, check the below top 3 solutions, all with super image quality (1080p, 4MP and 5MP resolution), decent night vision, weatherproof design, and remote access on phone, and other bonus features you may need. Actually, the how long the single outdoor security camera can record is totally decided by the storage space and your recording schedule (motion event based or continuous recording). Pretty sensible, right? To put it into details, if the single security camera has a 32GB SD card for local storage, it can record non-stop for about 18 hours at 1080p high resolution (4096Kbps), according to the recording formula. But that doesn’t mean you can not record beyond the 18 hours. The SD card will get overwritten from the oldest footage once it is full. So you don’t need to worry about the storage space will get full! If you want to record longer, a smart tactic is to set the single wireless security cameras or wired IP cameras to record motion events only. In that case, the camera can save up to 2160 motion events according to our test, which is perfectly adequate for days’ even weeks’ of recording. So you’ll never miss anything important. And that’s why the motion scheduling is the default and only option for most single security cameras with SD card storage. Want to record 24/7 anyway for long with a single CCTV camera? You may simply get a single security camera and recorder, which offers at least 1TB HDD for 24/7/365 recording. 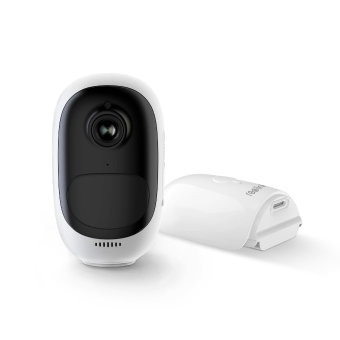 But do not go for those single security cameras with DVR, most of which provide only 720p blurry resolution, if you want to have a clear shot of the view. So if you decided to get a single security camera for round the clock recording, you’ll need a dedicated DVR or NVR to work with the camera. But no worries, that doesn’t mean you are locked in the ready-made 4 camera or 8 camera security systems. Instead, you can buy whichever type of single security camera you want (check the top 6 recommended CCTV camera types) and an NVR (network video recorder) separately. However, it’s advised to shop the single security camera and recorder from the same manufacturer to avoid possible compatible issues. 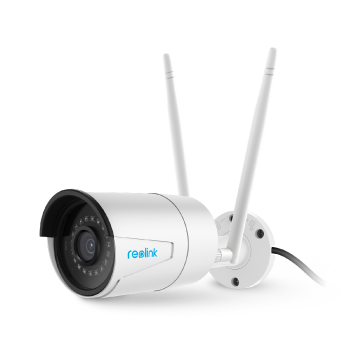 For example, the hot-selling Reolink RLC-410 can work with the affordable and versatile RLN8-410 perfectly with full functions, like recording at 4MP or 5MP high resolution, long range night vision under low lights, remote access via phone, motion detection, and etc. Mentioned in TechHive, SecurityBros, Tweaktown, etc. Rated 4.1 stars out of 5 in Amazon by more than 450 customers worldwide. 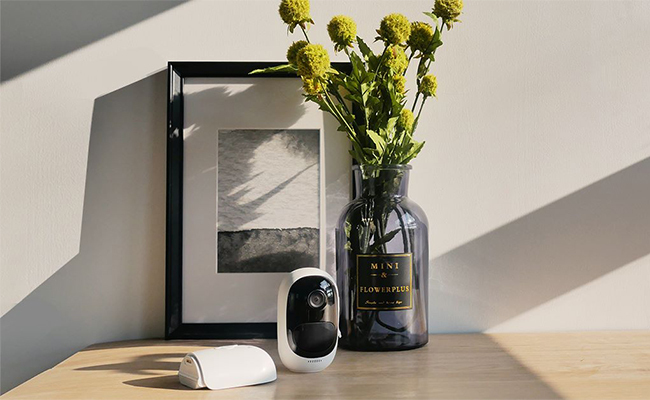 The single security camera with SD card is the most money saving solution to go, with NO cost for an extra recorder (DVR or NVR) or the monthly subscriptions of the cloud storage. A decent IP camera with SD card or SD card slot, like Reolink Argus Pro, only costs less than $100. This kind of battery powered single security camera simply saves all motion events to the memory card locally, and the recordings can then be easily accessed and downloaded via the camera software, like Reolink App, without taking the SD card out of the camera. 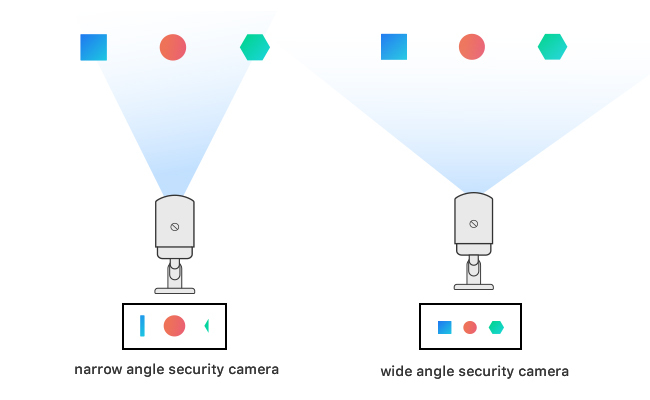 Just mind that, as I’ve already mentioned, the single cameras with SD card are mostly designed for motion detection only in order to record longer, if you don’t connect it to a dedicated NVR or DVR. 100% wire-free IP camera, easy to use and install; 1080p high resolution; Highly portable, suitable to be installed anywhere with wide angle of view to cover the whole place with a single camera. 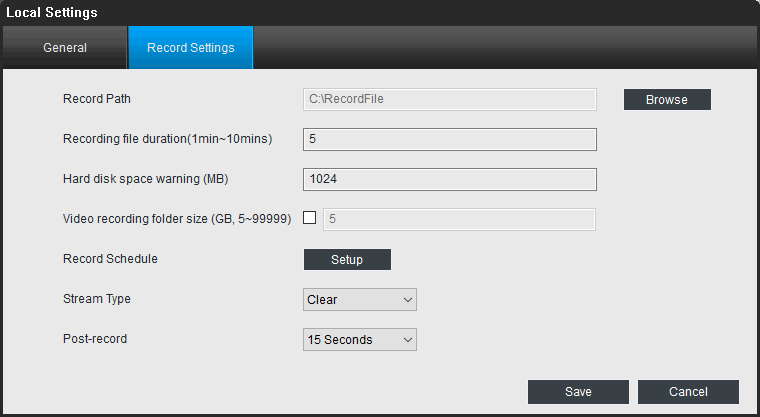 The Reolink Argus Pro also offers cloud storage option if you want to keep a copy of the recordings online. Editor’s Note: You don’t need to delete the single outdoor camera footage all the time to free the storage space when it is full. The SD card will be overwritten automatically. So rest assured that you will always know what has happened most recently! Some of you may have a spare PC with a lot of space and want to write the camera recordings to it directly. In that way, you don’t even need to buy the SD card or bother with the SD card storage space issue. But you need to make sure the PC for the single camera recording is constantly on so that you will not miss anything important. So how to connect the single home security camera with PC and set it to record to the PC HDD? Step 1. Connect the wireless or wired single security camera to the network. Step 2. On the computer with the same network, run the camera software, like Reolink Client. Step 3. After the software connect to the single CCTV camera, navigate to the video recording settings. Step 4. Set up the video recording, such as 24/7 recrding and scheduled time recording. Step 5. Select the recoding path where you want to save the footage. An easy-to-use and reliable single security camera could always make the setup process much easier, like the Reolink RLC-410W we use as example to detail the steps. 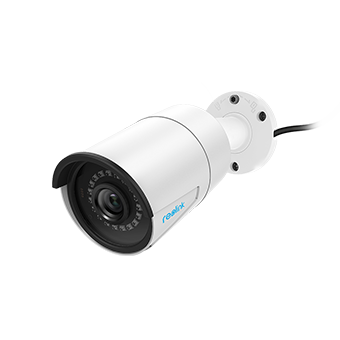 With 4MP/5MP class leading resolution, IP66 weatherproof rating, long range IR night vision capability, and free Reolink app for remote access, it’s the best budget pick for outdoor monitoring. Pro Tips: You can even set up the single CCTV camera recording to PC without Internet! Click here to learn the detailed steps. Have more concerns about the single security cameras? Check the popular ones below and get the answers quickly. You are very welcome to share yours in the comment area! While yes, the single CCTV camera may slow down your network a bit, but the impact is not as much as you think. Actually, if you don’t remotely access the camera, the impact was so small that could be ignored. And most single security cameras, including Reolink cameras, use H.264 codec to compress the files and release the data transmission stress greatly. So you don’t need to worry about the single security camera kit will slow down your home network. Learn top 6 useful tips to reduce single CCTV camera online bandwidth consumption. How much storage space would either a 12 or 24hr recording period require? So generally, a 64GB SD card, NVR, or PC could keep the single camera running for at least a day. And it could last for more days even weeks and longer if you set it to record motion only. Mind that the actual storage space consumption of the single camera could also be affected by its resolution and compression codec, check this post for more insights about IP camera storage space consumption. This entry was posted in Buyer's Guide and tagged single security cameras. Can I connect the reolink Argus pro with a NVR? How will that work? Which NVR to use?